One of the many wonderful things about the Disney Social Moms Media Celebration—and there are many—is the amazing speaker lineup. The awesomeness of these impressive people from all different fields, specialities and successes are extraordinary in their own right, but then when one of them speaks directly to something near and dear to your personal heart, well, you start to believe that universe may be sending you messages. 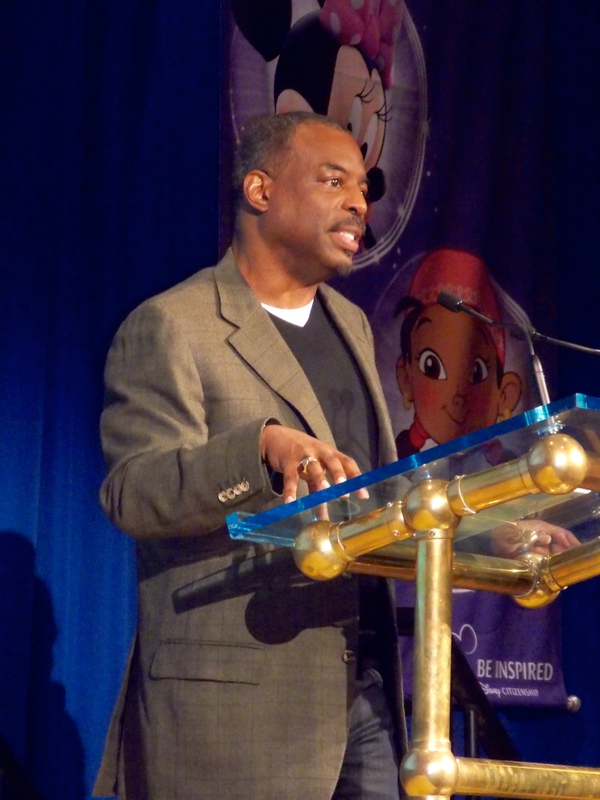 This serendipitous situation occurred for me this last April when I was sitting at breakfast listening to LeVar Burton speak to us about reading—specifically the importance of reading to and with our young children. I don’t think that was news to the parents in the room—it’s not exactly a secret—but a renewed enthusiasm cannot help but be contagious when such a passionate and dynamic expert in the field is sharing his zeal on the subject so eloquently. My secret Mom mission this summer (and please, don’t act like you don’t have one, too) is to read more, both with and to my kids as well as my own personal reading list. I realized sadly that as life gets lived, the ebb and flow of once-favorite activities get on the ebb side too often, and summer is the perfect time to get back into the reading flow. To assist me on this agenda, there are a few opportunities I learned about that I’m utilizing and would like to share with you. ~The first is from LeVar Burton’s Reading Rainbow itself, and features a downloadable app that gives you and your children access to thousands of titles at a click’s command. There’s a free trial that you can learn more about and download on Readingrainbow.com. Please check it out—I can tell you with complete sincerity that you cannot find a better advocate for children, literacy, and humankind in general than LeVar Burton. ~Also on that website there’s an opportunity to join a Kickstarter campaign to help bring Reading Rainbow into more classrooms. Any denomination by July 2, 2014 can make a huge difference. I just proudly donated to this beloved campaign. 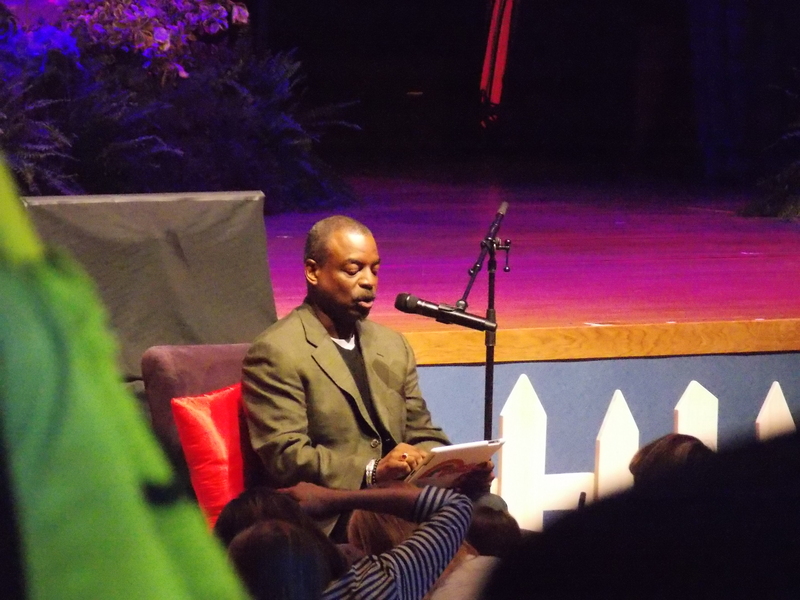 Levar Burton reading aloud–a beautiful thing. ~Disney Jr. has teamed up with First Book to donate up to a million books to children who may not get that opportunity we take for granted at home. GiveaBookGetaBook.com is a special website where you can enter in a redemption code to download a free digital book for your family to read, and that same book in physical form to be donated to a region of the country you designate. It’s a wonderful program that will run 4/1/14-9/30/15, and those redemption codes can be found in specially marked merchandise at Disney stores, Radio Disney promotions and other retail locations and products all summer long. You can read more about the initiative on the Disney Parks blog, or just seek out one of those codes and get started sharing the gift of reading with your children and total strangers. I can’t think of anything more meaningful for a summer treat. 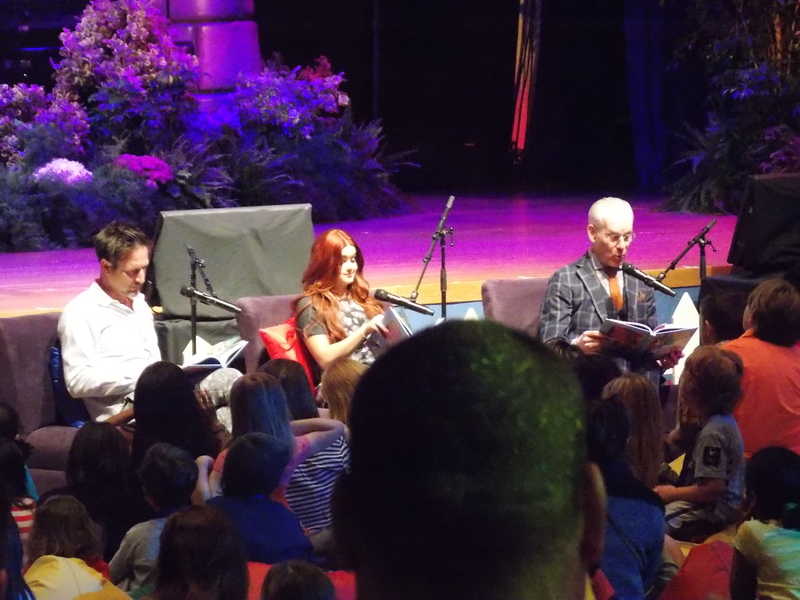 That time when Tim Gunn, Ariel Winter and David Arquette read books to my kids. I hope these are a few resources that will help your Mom missions this summer and beyond.